Brexit talks between the Government and the Labour Party were continuing on an official level last night after four days of little apparent progress. In jointly released statements, Downing Street and Labour said "technical" talks were restarting after dialogue by phone and email over the weekend. There was no official confirmation of BBC reports that the Government had made a fresh offer of a legislative "lock" to prevent a future Conservative leader from unpicking any agreement reached by Theresa May. With only two days until a crunch Brussels summit at which the other 27 EU member states will decide whether to grant the Prime Minster's request for a further Brexit delay, Downing Street insisted she was treating the cross-party talks with "urgency". But there appeared little prospect of a compromise agreement being in place in time for tomorrow's EU meeting, and no chance of it being approved by MPs before the EU27 meet. He said: "The exchanges with the Government have been serious, but our shadow cabinet expressed frustration that the Prime Minister has not yet moved off her red lines so we can reach a compromise. Mrs May is to make a whistle-stop trip to Berlin and Paris for last-minute talks with Angela Merkel and Emmanuel Macron on the eve of the emergency summit. And she spoke by phone with European Council president Donald Tusk, European Commission president Jean-Claude Juncker, Dutch PM Mark Rutte and Malta's Joseph Muscat to set out the case for extending the Brexit process to June 30. Following his call with Mrs May, Mr Rutte said it would be "crucial" for the EU27 to know "when and on what basis" the UK will ratify its Withdrawal Agreement. Today's weekly meeting of Cabinet has been cancelled due to Mrs May's travels, with no rescheduled date announced. A number of Cabinet ministers attended Downing Street for a scheduled meeting of the EU subcommittee yesterday. The Prime Minister has angered Tories by holding talks with Labour, with Brexiteers including Boris Johnson concerned that she will accept a customs union as the price for a deal with Jeremy Corbyn. Negotiations stalled after Labour said the Prime Minister refused to set out any changes to her Brexit red lines. Shadow Brexit secretary Sir Keir Starmer said the ball was "in the Government's court". He told the BBC: "At the moment we're waiting to see what the Government is putting on the table as a proposal. "All they have done so far is to indicate various things but not to change the Political Declaration, so the ball is in the Government's court. We need to see what they come back with and when they do we will take a collective position on that." 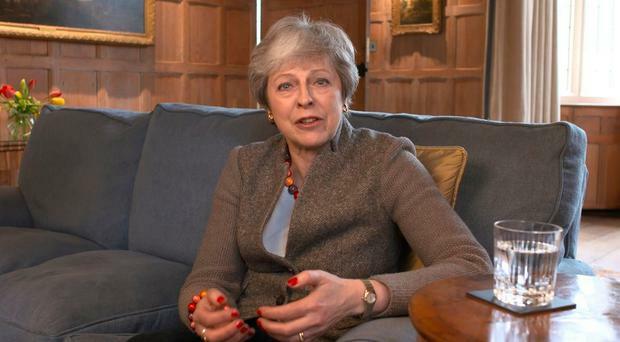 She hopes to have a solution ratified in time to allow the UK to leave the EU by May 22, avoiding the need to take part in European Parliament elections the following day. But Mr Johnson warned that Tory MPs will not allow Mrs May to "surrender" to Mr Corbyn, who is demanding involvement in a post-Brexit customs union arrangement with the EU as part of the price for Labour support.